Searching for cheap calling to Zapopan? You’re watching the Chivas game on TV. A number of your family and friends are there in person. You wish you could call Zapopan and talk during the game. How cool would that be? Right now, you’ve got Vonage World®, which is great for calling Zapopan landlines as much as you wanted¹, but you need to find a way to call Zapopan mobiles affordably. Just like your hope for a 90th minute goal, you’ve constantly wished for a plan that would give you unlimited¹ calling to Zapopan. Unlimited¹ calling to all mobiles and landlines in Mexico. Unlimited¹ calling to landlines in the US and more than 60 additional countries. Unlimited¹ calling to mobile phones in the US and more than 10 additional countries. 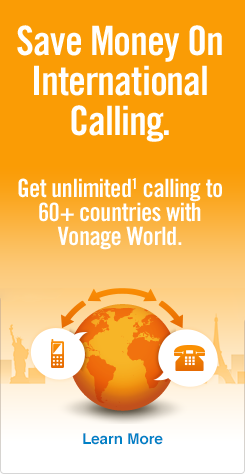 Vonage Extensions® — extend this calling plan to any phone, even mobiles, at no extra charge. Get Vonage World Mexico Sin Límites, the only plan that gives you Mexico unlimited¹ calling for one low monthly rate! Now you know the plan to make calls to Zapopan with, but do you remember how to call Zapopan? Start with 011 — the exit code for the US and Canada. Next, enter 52 — the country code for Mexico. Then, dial 33 — the Zapopan area code. Finish dialing with the 7–8 digit local phone number. Now you know how to call Zapopan from the USA, as well as the Zapopan calling code. But Vonage World Mexico Sin Límites covers the entire country, not just Zapopan or a couple of major cities. So check out our post on how to call Mexico from the USA to discover how to call all your desired destinations! As mentioned before, Zapopan, in the state of Jalisco, is home to Club Deportivo Guadalajara or “Chivas”, one of the most popular soccer clubs in all of Mexico. Chivas also play their home games at the Omnilife Stadium, located in the city. However, Zapopan doesn’t just revolve around sport, as there are a number of small shrines to the sun, called cues, found in the area. Zapopan gained city status on the 450th anniversary of its founding.